Those early morning and evening runs can be treacherous. Not only do you need to make sure you don’t trip on the broken pavement hidden in the shadows, the cars are trying to kill you. And it doesn’t even need to be pitch black for you to be invisible to drivers. Cloudy days, fog, rain and driver inattentiveness also make put you at risk. Raising your visibility profile is cheap, easy and won’t get in the way of your running style. 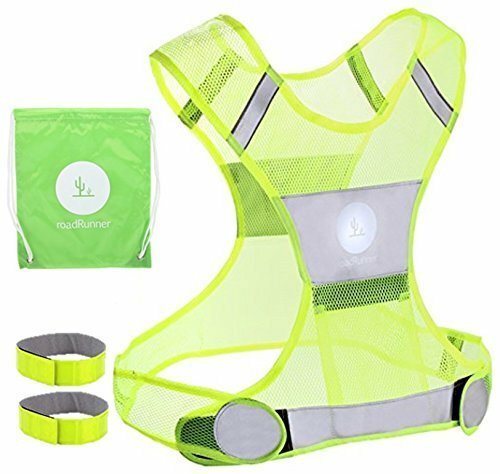 Here are my recommendations based on reflective vests that I have purchased for myself and my running family members. 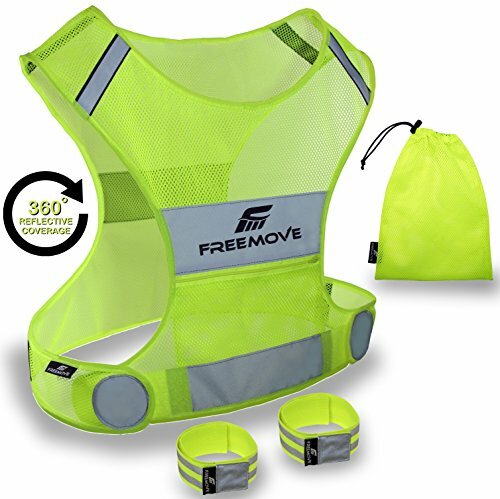 A reflective vest so cheap and functional that you can buy two for everyone in your family for the price of one reflective windbreaker. The different size offerings make it easy to find the right fit and the pocket if big enough for most smartphones. I find the position of the pocket super useful to clip an LED light to for better forward visibility. This thing is amazing for the price. 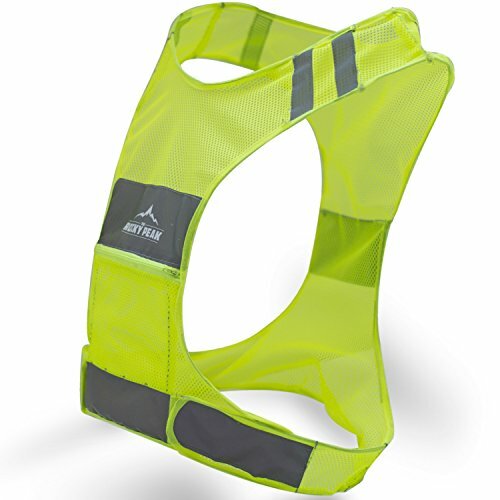 The reflectivity on this one seemed brighter than other vests I have used and it’s definitely lightweight. 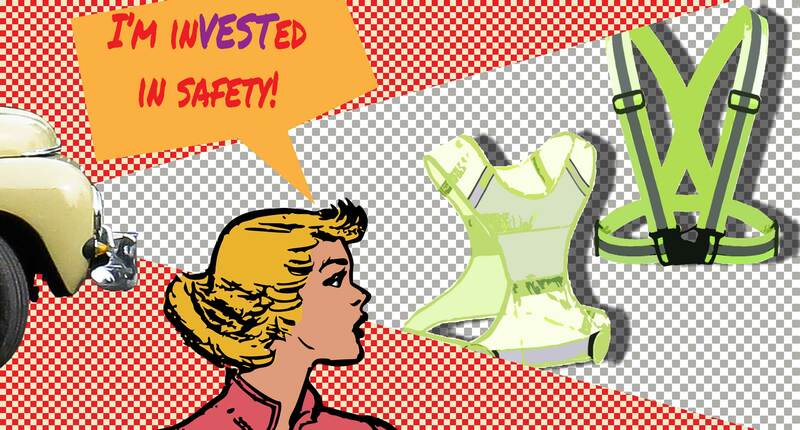 If you are of normal build around the mid-section then this is going to fit perfectly even with its limited adjustment. If you are stick thin then go with one of the other models with more adjustment. If you have a larger body frame or need something that fastens over cold weather running gear then this is a good choice. The adjustments are limited but since I wore it over other layers it wasn’t a problem. I did cut off that annoying black tag that hangs off the side. It was perfectly situated to scrape at my hand on every other arm swing. In the middle of my first run with the vest I almost chewed it off in frustration. Snip it off before you leave the house. The two strap models below are cheap and have greater adjustability than the mesh vests. 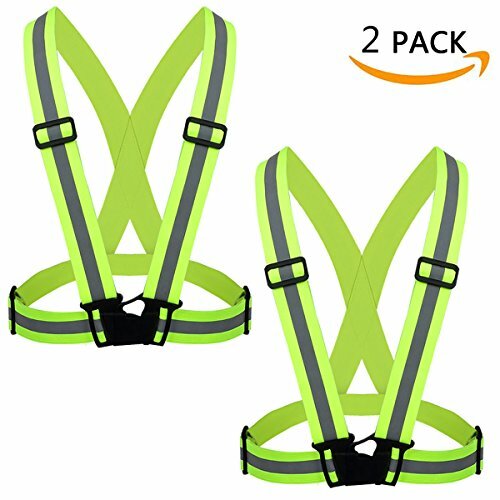 If you like a visibility vest solution that can strap tightly to your body then these are the way to go. My only frustration with the strap versions (and I have tried 2 different models myself) is that they rub my neck in the summer when I am only wearing a singlet (that’s a tank top for you noobs). When I wear a full sleeved top they stay put so it’s probably because the singlet doesn’t have enough fabric to keep it from riding up to my neck and trying saw my head off. My daughter especially liked this one because it also comes in PINK (seriously, it’s soooooper pink so you’d better really like pink – I mean really like it). 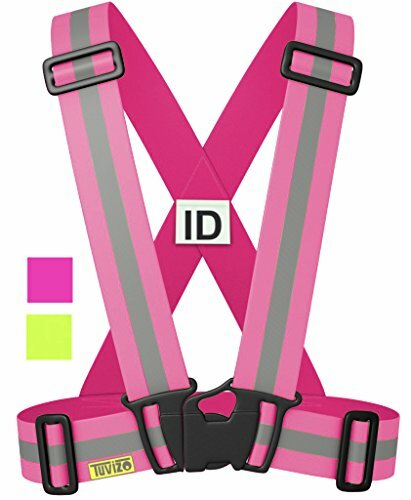 Other than the pinkness it’s a highly visible vest with wide straps that really makes you stand out. I bought this one because it was highly adjustable and for the price you get TWO. Count ’em 1… 2. That’s a good deal for something that I can’t find anything to knock. It’s very much like the others that cost more for just one. I keep the extra one in my car for when I drive out to my favorite weekend trail at 5am and I often forget to take a vest for those country road sections. Seriously, at 5am (really 4:30 to get get in the car) I have even forgotten to put on my trail shoes and drove 5 miles from the house in my slippers.